Looking for a Drug Rehab or Alcohol Rehab Program in South Carolina? 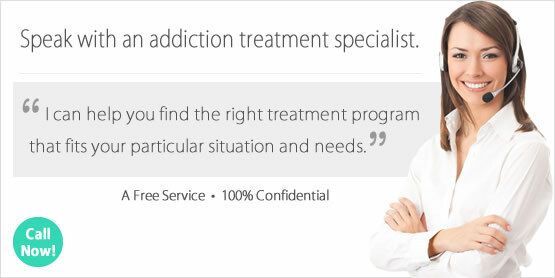 Searching for a drug rehab in South Carolina? We have compiled a number of key elements to make the search easier and more productive. First off, it is important to determine whether the addicted person is willing to enroll in an inpatient or outpatient program. Inpatient programs range in length from just under a month to several months on end. They offer structure, a drug-free environment and support around the clock for the recovering person. This intensive form of treatment fits all types of addiction cases, and is particularly effective for severe addiction problems. On the other hand, outpatient treatment offers short and long-term programs as well as the flexibility to maintain work and other personal obligations while receiving addiction treatment. This type of program requires the individual to manage their sobriety when away from the treatment program; a difficult, if not impossible task for severely addicted individuals. Often, it is beneficial to contact a professional to help determine what type of program will best fit the addict's recovery needs. Speaking with a medical professional, such as one of our addiction counselors or a physician, puts the addict's rehabilitation needs in perspective and helps to determine what level of care they require. In a recent online article published by the Medical University of South Carolina, a new dangerous designer drug is causing serious problems for residents of the state. Similar to "bath salts", the new designer drug named Flakka is becoming a widespread problem in South Carolina, as well as other parts of the country. The new drug Flakka remains a step ahead of the legal system's list of banned synthetic substances. Because the drug is not illegal as of yet, users are able to purchase Flakka over the internet. Flakka is a synthetic cathinone that originated in China, Pakistan and India. Over the last 5 years reported cases of Flakka abuse have dramatically risen. In 2010, there were no reported cases of Flakka use in the United States, and only 85 cases in 2012. Fast forward to 2014, during 2014 there was an astounding 670 reported cases of Flakka use here in the United States. Drug rehab in South Carolina helps residents struggling with addiction problems like Flakka, cocaine, marijuana and heroin to overcome their dependence on drugs and regain control over their lives. Alcohol treatment in South Carolina is designed to help the problem drinker handle the physical nature of their addiction while addressing the underlying issues that drive them to drink. During alcohol treatment, the recovering alcoholic will develop new healthy ways to handle life's ups and downs without turning to alcohol. Treatment for alcohol addiction can take many forms depending on the South Carolina rehab program the person enrolls in. Generally speaking, the first step of alcohol treatment is detox. This process helps to remove the remaining alcohol in the person's system while preparing them for the more intensive process of rehabilitation. Once detox is complete, the recovering person should no longer physically crave alcohol, an immense benefit during the recovery process. The 2002-2012 Treatment Episode Data Set (TEDS) report on State Admissions to Substance Abuse Treatment Services indicates alcohol remained the primary substance of abuse for state residents aged 12 and older. Following admissions for alcohol treatment in South Carolina was marijuana, cocaine and other opiates. In order to determine the right type of treatment program in South Carolina, it is essential to understand both types of treatment environments as well as their pros and cons. As a general rule, inpatient drug rehab has the client move into the treatment facility. During the client's time in treatment they will live in a structured, substance-free environment where they will acclimate to living daily life clean and sober. Outpatient treatment offers clients a very different recovery experience than inpatient treatment. When a person enrolls in an outpatient program they are able to continue living at home and keep up many aspects of their day to day life. This is a great benefit to individuals who cannot take time off from work, or who have personal obligations to maintain. With outpatient treatment in South Carolina, the recovering individual receives addiction rehabilitation services on a regular basis, often at a lower cost than inpatient treatment. For clients who live in a supportive and substance-free home environment, and are able to maintain their sobriety when away from the treatment center, outpatient rehab is a good way to handle addiction problems without the commitment of an inpatient program. In the most recent 2013 survey conducted by the National Survey of Substance Abuse Treatment Services (N-SSATS), South Carolina had 111 substance abuse treatment facilities. On March 29, 2013 (the date of the most recent N-SSATS survey), there were 15,824 clients in South Carolina treatment programs. Of the 111 substance abuse treatment centers in South Carolina during 2013, 91 were outpatient treatment programs, 16 were inpatient or residential treatment programs and 18 were hospital inpatient programs. The Health Economics Resource Center published a study in 2008 on The Comparison of Cost and Outcomes of Inpatient and Outpatient Treatment for Substance Use Disorders. The results concluded that while the overall cost for outpatient treatment is considerably less, inpatient settings yield significantly better outcomes. The question posed in this study was "Is it worth spending more on inpatient treatment for greater outcomes?" According to this study's findings, inpatient treatment costs approximately $8,600 more than outpatient treatment for an extra 1.5 days reduction in substance use. In the end, the study found that substance abuse treatment has shifted from inpatient to outpatient settings due to the extra cost of inpatient care and the lack of evidence of inpatient superiority. What Does Inpatient Rehab in South Carolina Involve? South Carolina inpatient treatment involves committing a period of time to focus on getting sober and developing the personal skills to live clean and healthy life after treatment. Committing to inpatient treatment in South Carolina involves packing up and moving into the recovery program. The dedication of choosing to enroll in an inpatient program is one of the best ways to achieve sobriety and learn how to live day to day life substance-free. Living in an inpatient treatment program provides the program participant with the experience of living their life clean and sober before returning to the "real world". This type of treatment fluctuates in length from program to program. On average, short term inpatient treatment usually lasts a month or less, while long term inpatient treatment might last several months. Data from the 2013 N-SSATS report notes there were 16 residential/inpatient programs in South Carolina and 18 hospital inpatient programs. It is not unusual for drug rehab programs to provide a variety of treatment lengths or addiction services for their clients. Of the 16 residential/inpatient programs operating in South Carolina at the time of the 2013 N-SSATS survey, 11 programs offered short-term care lasting less than 30 days, 8 offered long-term care lasting 30 days or longer and 2 provided detoxification. Of the 18 hospital inpatient programs, 12 provided treatment and all 18 provided detoxification services. If you or someone you care about needs inpatient treatment in South Carolina, please speak with one of our addiction counselors. We can help answer questions and guide you in the decision making process. What Does Outpatient Rehab in South Carolina Involve? The choice to enroll in outpatient treatment in South Carolina involves regularly attending the program and maintaining sobriety when away from the treatment center. This type of rehab is a good option for individuals who have work or personal obligations they cannot leave behind to enroll in an inpatient program. For most outpatient treatment clients, the most difficult aspect of this type of rehab is maintaining sobriety when away from the treatment center. Outpatient treatment in South Carolina provides the client with the chance to live in the real world while working on their recovery. However, the downside is that often severely addicted individuals are not able to handle the temptation to use when away from the rehab center and frequently relapse while enrolled in the program. Numbers from the March 29, 2013 N-SSATS survey indicates there were 91 outpatient treatment programs in South Carolina. A number of the outpatient treatment centers in the state provide more than one type of outpatient service. Of the 91 outpatient treatment centers in South Carolina, 87 provided regular outpatient care, 48 delivered intensive outpatient care, 11 offered day treatment/partial hospitalization, 15 provided detoxification, and 20 delivered methadone/buprenorphine or Vivitrol maintenance. Recovery is possible with the help of a South Carolina outpatient treatment program. By speaking with one of our specialists, you can narrow down the list of outpatient treatment options in South Carolina and find the best fit for the addicted person's recovery needs.